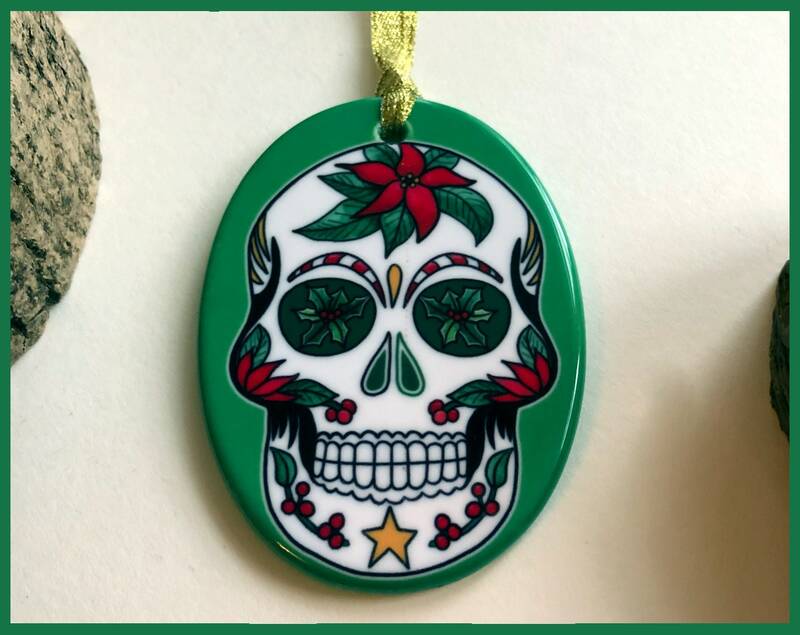 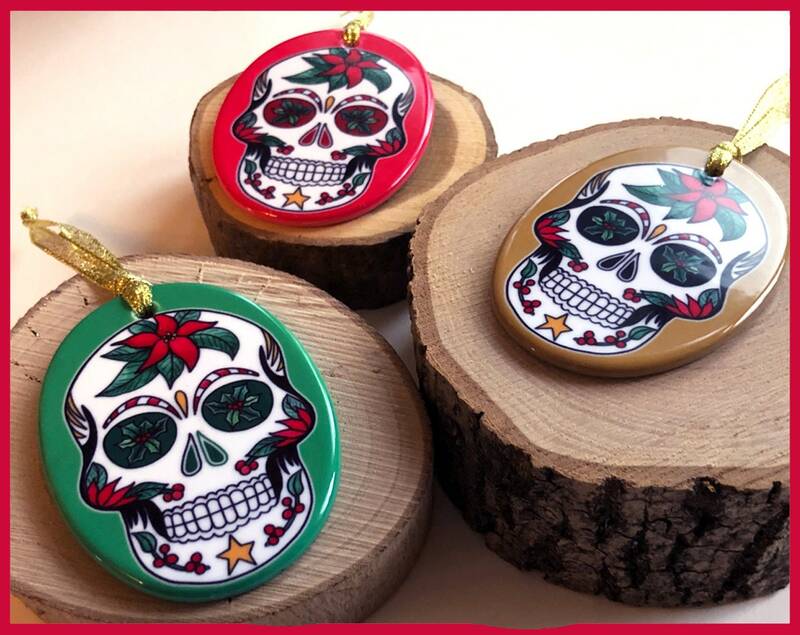 These beautifully illustrated, handprinted, double sided sugar skull ornaments make a creepy but cute addition to any Christmas tree. 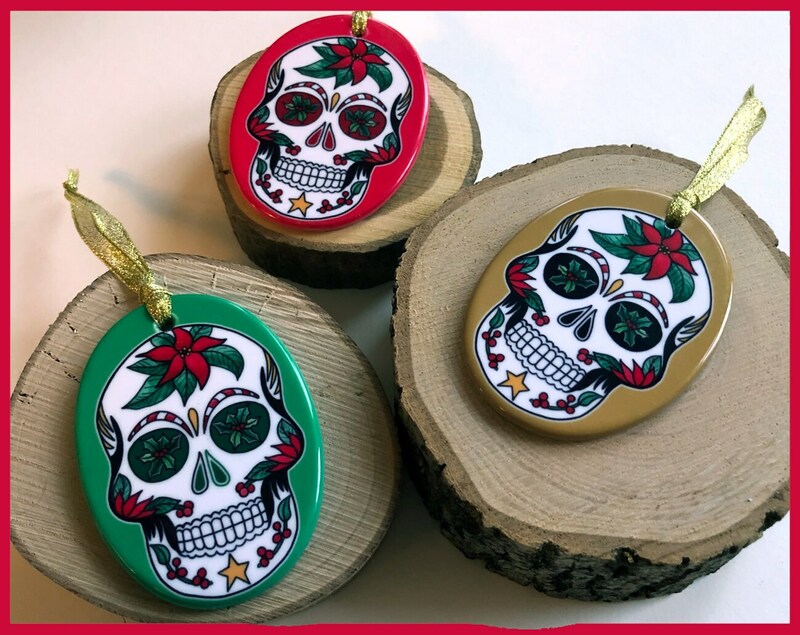 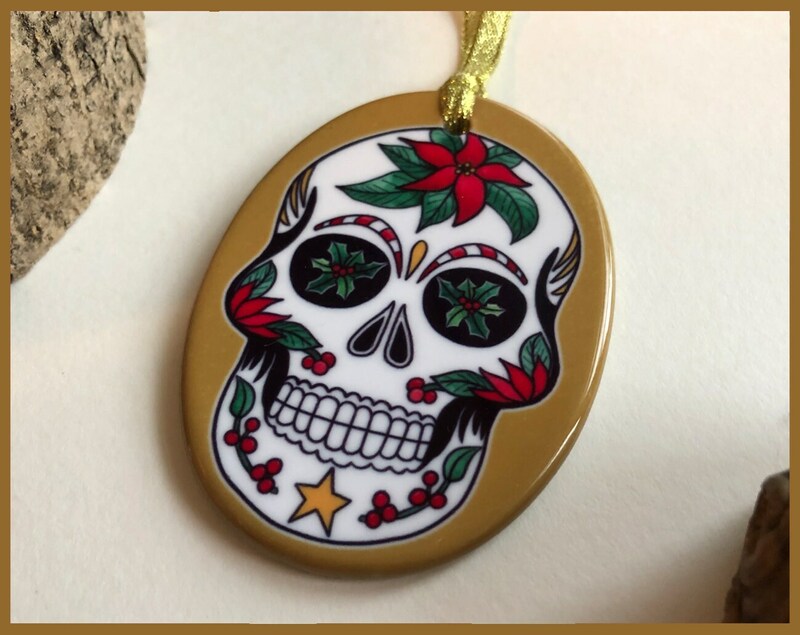 Inspired by all things Christmassy this sugar skull design is available in three different colours; Red, Green and Mustard. 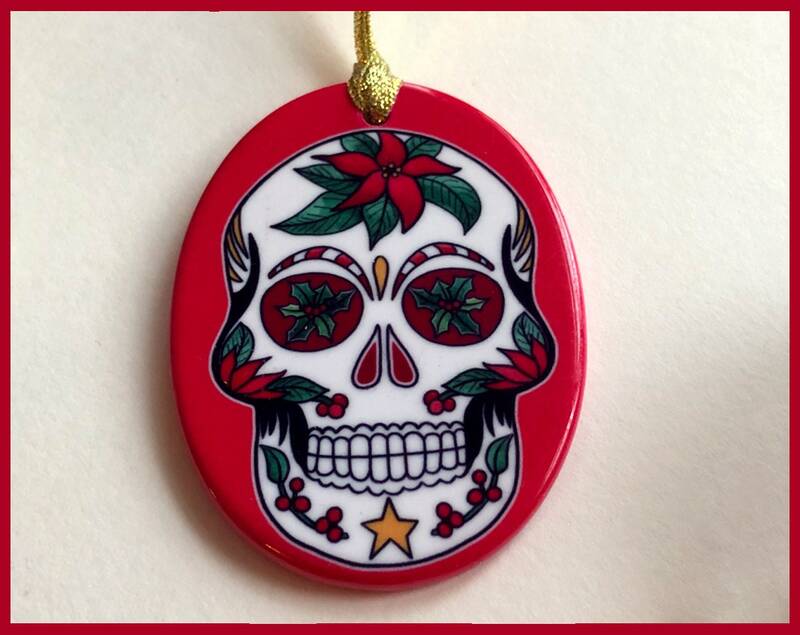 This is the perfect gift for those searching for something alternative this Christmas. 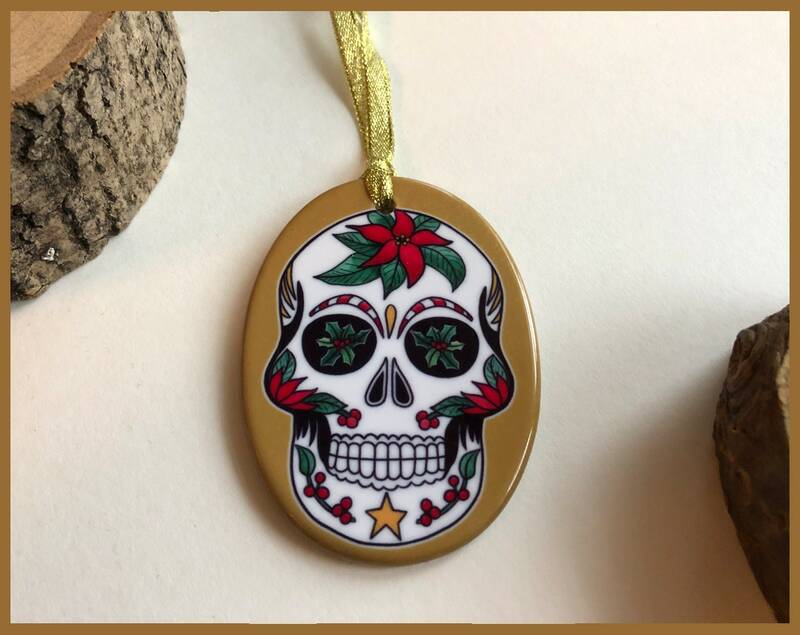 The ornament measures 85mm x 57mm and includes a gold metallic ribbon to hang on the tree.